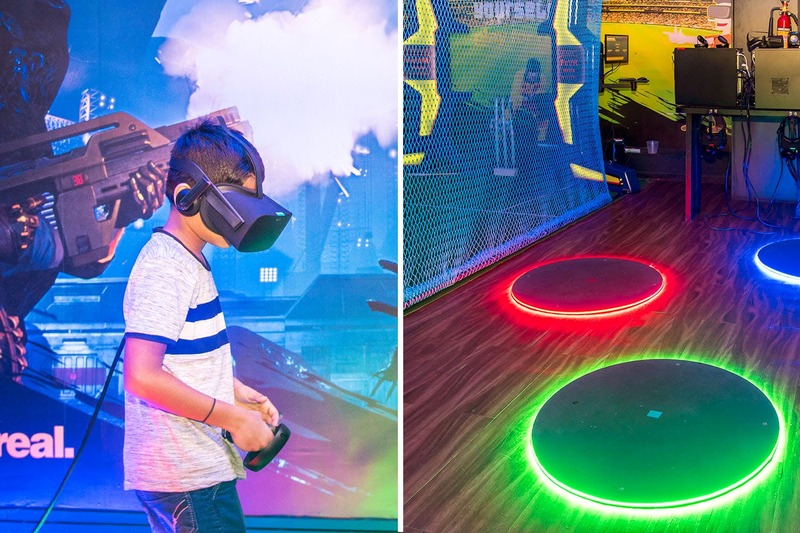 We all love a good dose of VR (Virtual Reality), and to kick things up a notch, Mumbai's got its first VR park at R-Mall, Mulund. For those of you who love the thrills, this place is dope. More like an arcade, this VR space offers you a multi-player virtual reality experience for a single player, up to even five players. It's your chance to walk on a plank 10,000 feet above sea level and fall down too (virtually, of course!) or battle it out with your gang at the Alien Bug Shoot, where you get to play with weapons and guns; or if you're a cricket buff, you can play with a virtual team around you. If you're going with kids, you can still have your cake and eat it too - there's a kids park with a trampoline zone and an in-house zip line to keep them occupied, called Jumble Tumble right next door, while you channel your inner nerd. You can even plan a VR birthday party, a team party or any such event where all you want to do is just have the time of your lives. The best bit? At INR 850 per person, it's affordable and sure to make you want more.